" We have so enjoyed our stay with you. Everything has been perfect - and, of course, Clive loves your breakfasts! " " Here again! Fabulous as before. Especially the new furnishings! " " Beautiful coach house "
" Loved our stay in this cosy cottage visiting amazing gardens. Thanks "
" A very lovely place, with lovely furnishings and excellent hosts in an ideal location - what more is there to say "
" A lovely lovely stay. Thank you both so much for your generous hospitality and kindness. We shall always remember our time in Studley Cottage "
" We liked staying here very much. Beautiful bedroom and dining room. Thanks for your hospitality "
" We have never stayed in a B&B like this - beautiful, warm welcome, quiet, absolutely perfect! Thank you both "
" A daughter's wedding - and a more welcoming and relaxing home is unimaginable - Thank you to Lynne & John "
" Peaceful, quiet, relaxing. Wonderful welcoming hosts, fabulous breakfasts. Best thing of all -spotlessly clean. Better than five star! " " Three days of comfort in such a thoughtful and beautiful B&B. Thank you for such wonderful care "
" We loved staying here with you - beautiful attention to detail and very good company. Thank you for a memorable stay! " " Thank you so much for everything. A lovely home, lovely people. We loved being here. Everything is first rate "
" A beautiful place with excellent hosts paying attention to every detail for our comfort. Thank you very much "
" A fabulous B&B. Thank you so much - Next time I'll come for a holiday rather than work!! " " Very comfortable and an excellent location. Very friendly and hospitable. Hope to come again"
" A very pleasant stay in the most comfortable surroundings; thank you "
" Had a fantastic stay, very comfy bed, huge delicious breakfast. Would recommend to anyone. Lovely people. A great stay "
" Thanks for a wonderful stay. Our first visit to Kent. I'm sure we will be back. Excellent accommodation will definitely recommend to friends "
" Many thanks indeed for a lovely stay. We really enjoyed Studley Cottage and your warm hospitality. It is an excellent location for discovering Kent "
" Wonderful hosts, we had a lovely time staying with Lynne & John and would thoroughly recommend this lovely home "
" Superb accommodation with extremely genial hosts. We will certainly recommend this to our friends "
" We've had a hugely enjoyable stay. Everything has been first class and quite the best bed and breakfast we've ever experienced "
" Nice area with a lot of picturesque places to visit, we've had a great time. Amazing house and rooms decorated with style. Very friendly hosts taking care of every wish of their guests. We definitely hope to be back "
" What a tranquil oasis, and yet so near the town centre! Fantastic hosts, superb accommodation with breakfasts to match! " " We have enjoyed our stay and were happy that we could stay another night. Thank you for your hospitality, warm welcome, feeling "home". When we will be here in the area again, we'll sure to come back! " " Wir waren begeistert von der Gasfreundlichkeit und den Zimmern. Wir werden unsere Gastgeber weiterempfehlen "
" Thank you for looking after us so well. It has been or first visit to this part of the country and hopefully it won't be our last. Your breakfasts should receive the gold award yet again "
" We will never forget these lovely days in Studley Cottage "
" Randomly found this stunning cottage on Google and we were glad we did - lovely, welcoming hosts, excellent breakfasts, attentive service - lovely all round. Beautiful house, lovely people - couldn't ask for more "
" Lucky to find this spot. Thank you so much for your generous hospitality, your excellent breakfasts and your very comfortable and spotless bedroom, full of all those little extras which make all the difference "
" Studley Cottage is a little paradise. Marvellous breakfast, cosy, friendly atmosphere, beautiful garden. We will always remember this little paradise "
" Herzlichen Dank fuer die Tage und Naechte in Ihrem Haus, fuer die Gespraeche, Tipps und das Gefuehl, nicht nur Gaeste, sondern Freunde zu sein "
" Thank you for your wonderful hospitality. We enjoyed the beautiful artistry - and history - that is part of your house. The loveliness of our surroundings soothed the spirit, the comfy beds rested the body and the great breakfasts gave us energy for the day "
" My second visit and I enjoyed it as much as the first. Excellent service and attention to detail "
" Very warm welcome and a pleasant stay in a lovely and quiet cottage. Hope to be back here when we get fed up with the continent. We'll remember you "
" We have found the right place to stay for a lovely week in sunshine. Thank you for a very good accommodation and a super breakfast "
" First class! It was a perfect weekend. We shall recommend and we hope to return "
" We had a wonderful stay at Studley Cottage and we couldn't have been looked after better anywhere. 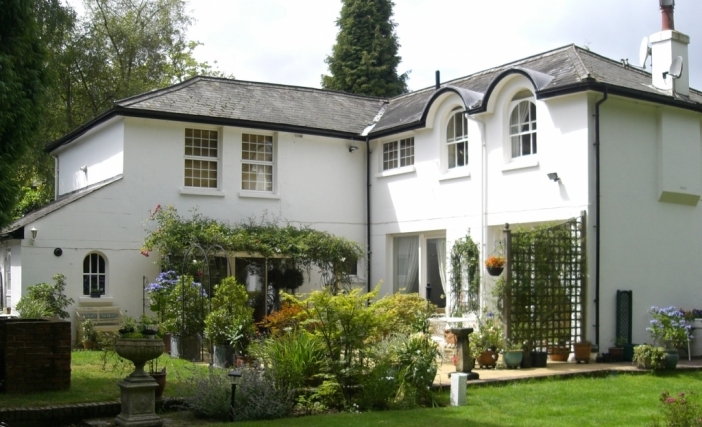 We felt comfortable and at home and if we get the chance to come to Tunbridge Wells again, and I hope that we do, we will call you first for accommodation "
" Nice pictures, but they do not show the greatest assets of this bed and breakfast in Tunbridge Wells: Lynne and John! Not only great hosts, but genuinely nice people. But don't take my word for it, go and see for yourself, you won't regret it "
" Fantastic - such high quality. A really healing place. Beautiful food, friendly and intuitive care. Much appreciated. A house with good warm feeling that you just don't wanna leave! " " Perfect in every way. Delightful hosts and beautiful surroundings - deserves to be * * * * * "
" A peaceful oasis and one to come back to "
" I feel like Oliver Twist - "Please Sir, can I have some more?"